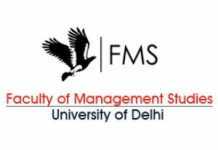 KIAMS PGDM Admission 2019 – Kirloskar Institute of Advanced Management Studies (KIAMS) conducted the GD/PI round for the admission to 2 years fully residential Post Graduate Diploma in Management (PGDM) programme is based in the scores in CAT/XAT/CMAT/MAT and ATMA. The short-listed candidates will be drawn up based on CAT/XAT/CMAT/MAT and ATMA percentile, past academic records etc. Candidates can apply online for KIAMS PGDM Admission 2019 from the link provided below on this page. Latest: As per the directives of AICTE, Kirloskar Institute of Advanced Management Studies (KIAMS) have already conducted an online test which included an aptitude and a communication test. KIAMS offers a two year PGDM programme to train and develop managers for the next millennium. KIAMS provide a state-of-the-art learning environment with top-of-the-line facilities. A bachelor’s degree (10+2+3 OR 10+2+4) in any discipline from a recognized university, with not less than 50% overall aggregate marks. Students appearing for the final year examination may also apply. Application for KIAMS PGDM Admission 2019 is now available for the eligible candidates, Which can also be accessible through the direct link provided below. All eligible shortlisted candidates based on applicant’s profile will be called for admission process to be held at several centers across India as mentioned in the application form. Interviews over SKYPE could also be arranged on request. KIAMS does profile based selection where we consider their academic performance, competitive exam score, and performance in the group discussion/ extempore & personal interview.